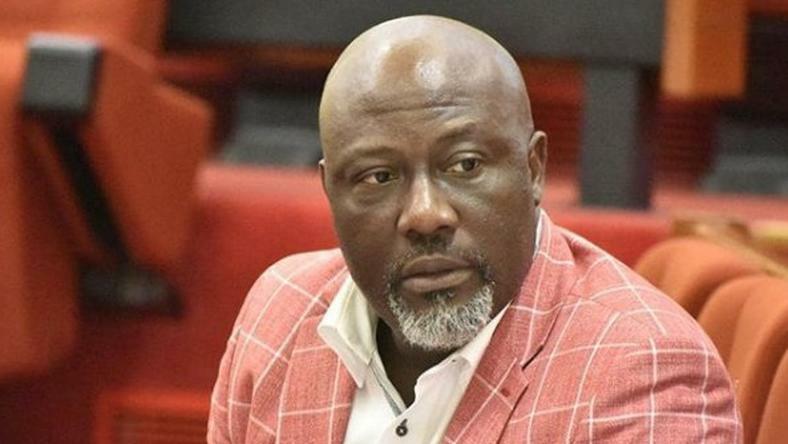 Sen. Dino Melaye who was arraigned on an eight-count charge of evading arrest has been granted bail by the FCT High Court in Maitama presided over by Justice Yusuf Halilu. The senator representing Kogi West in the National Assembly, was arraigned on allegations of conspiracy, resistance to arrest, failure to honour police invitation and intentionally giving false information to the public. Ruling on the application by Chief Mike Ozekhome (SAN), Justice Halilu held that the essence of bail could not be overemphasized, saying that it was meant to make a defendant to stand for trial. According to him, in granting a defendant bail, the court has to consider the nature of the charge, the antecedent of the bail applicant, among others. He held that the constitution presumes a defendant innocent until found guilty by the court. The judge, therefore, upheld the earlier bail granted the Melaye on Jan. 18 and added that Melaye should not leave the shores of the country without a written application to the court. He held that the police’s refusal to release the senator after being granted bail by the court called for serious concern. Halilu further held that the bail was to ensure that whoever charged was not allowed to suffer while his trail was going on. According to him, the police and the judiciary were partners in criminal administration in the country. Halilu, however, directed Ozekhome to warn his client to ensure that he does not comment on the matter before the court in any media. “This is the only country where people make very unguarded comment on matters that are sub jaundice,” he said. He then adjourned the case until Feb. 25 for commencement of trial. While granting Melaye bail last Friday, the judge ordered that the senator provide three sureties, two of whom must show evidence of landed properties in Abuja, adding that the third must be the Clerk of the National Assembly. According to him, the clerk had to write a letter to the court assuring that the senator would be produced in court whenever he was required. The prosecuting counsel, Mr Shuaibu Labaran alleged that Melaye conspired with one Silas Omenka on Dec. ,28, 2018 to commit an offence of illegal obstruction of lawful arrest. This he said was contrary to section 97 of the penal code. He alleged further that he intentionally resisted lawful arrest, contrary to section 172 of the penal code. Police also alleged that he tweeted that the Inspector General of Police planned to arrest him and inject him to death which was false, contrary to section 416 of the penal code.